Viral outbreaks have become staples of horror movies. A mysterious new disease emerges, probably from the forests of Africa, then rapidly spreads across the globe, unleashing some zombie plague and triggering a social collapse. This scenario is the nightmare of the privileged within globalised capitalism. 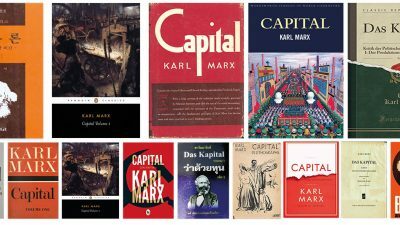 The relative comfort and apparent stability of the west is produced by and dependent upon the constant flow across borders of capital, resources, commodities and labour. For the most part, these flows surge beneath the surface in the global north, as invisible, ignored and depended-upon as the flows along cables, wires and pipes. A simmering anxiety is evident in debates about migration or threatened flights of capital; yet even these conversations assume that these flows can and should be managed and mastered. The potential horror of these unbounded, uncontrollable flows is made fully manifest, however, through the trope of the pandemic. The infection spreads through channels cut by capitalism, from wilds to cities, from peripheries to centres, places of poverty to concentrations of wealth. In this trope, black and brown bodies are figured as infectious agents, seen as at once perilously close to wild animals yet alarmingly capable of boarding aeroplanes. In the trope of the pandemic, the imagined social impact is apocalyptic – an apocalypse focused, inevitably, on western cities, experienced through white bodies, and manifested through a rapid failure of the social order. The trope of the pandemic plays out not only in fiction, however, but more dangerously across the 24-hour news cycle in health scares, such as that raised by the 2014-15 west African Ebola epidemic. 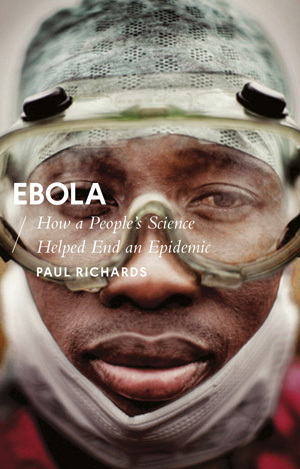 A healthy corrective to this sensationalised nightmare of pandemic, with its racist and imperialist underpinnings, can be found in Paul Richards’ excellent and timely work, Ebola: How a People’s Science Helped End an Epidemic. In this short volume, Richards provides a concise account of the west African Ebola epidemic, detailing how it spread and how it was stopped. Richards is an anthropologist who has spent decades working in Sierra Leone, including during the civil war, and the depth of his knowledge and familiarity with the region is evident here. Western reports on the Ebola epidemic often pushed the narrative that the disease’s spread was being worsened by the ignorance and stubbornness of locals, who refused to cooperate with disease control efforts and persisted in dangerous nursing and traditional burial practices. In contrast, Richards shows that successfully combatting Ebola required a genuine collaboration between locals and experts, with an open exchange of information and understanding regarding not only the requirements of disease control but also the realities of daily life, particularly in areas of extreme poverty. Epidemiologists were surprised by the rapid spread of Ebola through remote areas in part because they did not know about the highly effective network of off-road motorcycle taxis. Meanwhile, it was useless to recommend that Ebola patients be given their own cup when many village households only had access to one. Funerals emerged as a particular point of contention during this epidemic. Practices such as washing the body became extremely dangerous, and funerals often resulted in the infection of attendees. People were horrified, however, by the Ebola burial teams, who wrapped bodies in plastic bags and threw them into mass graves from the backs of trucks. Locals repeatedly asked to be given training and equipment to allow them to develop new, safe burial practices, without sacrificing the important emotional and social functions of funerals. Richards also traces the connections between the Ebola epidemic and the political histories of the region. Experiences of civil war, repression and corruption have not only severely disrupted civil infrastructure, they have also created deep and well-founded mistrust of authorities, which did result in early scepticism regarding the disease. Scientific and medical activities have a long history of connection to exploitative and coercive practices by colonial, missionary and corporate bodies. Nevertheless, Richards stresses that experience soon reshaped people’s initial responses. Rather than the ignorant masses of media fears, Richards argues that the communities affected by Ebola demonstrated tremendous pragmatism, adaptability and social cohesion. 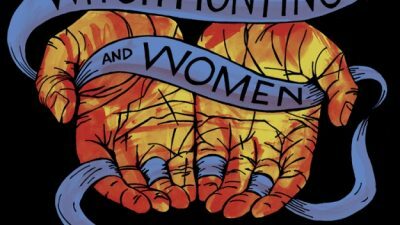 One of the cornerstones of democratic, radical politics is the belief that ordinary people can be trusted: to learn, to take social responsibility, to look after each other. People are not solely driven by greed and fear; profit and coercion are not necessary motivators. Perhaps one of the most profound messages of Richards’ Ebola is the detailed, humane demonstration of the extent to which this is true, even in the most frightening of circumstances.